A while back I went to the movies to see the movie Chef . This movie touched me so much I couldn’t wait to see it again. Luckily it is out on DVD and I bought it as soon as I could. This movie stars Jon Favreau, who also wrote and directed the story. It’s a movie about a talented chef who is frustrated that he isn’t able to cook the foods he wants to at the restaurant he works. He ends up unemployed and had always looked down on food trucks but then circumstances allowed him to open up his own food truck with his ex-wife’s ex-husbands help, his best friend and son. The relationship between father and son is another part of the story and it is told in such a way that it is touching and draws you in. I don’t want to give too much away but the movie is worth seeing even if you have to buy it or rent it from Amazon. And you don’t have to be a foodie to appreciate it. The recipe I’m sharing is actually the sandwich that convinced the chef to make the move to food trucks. 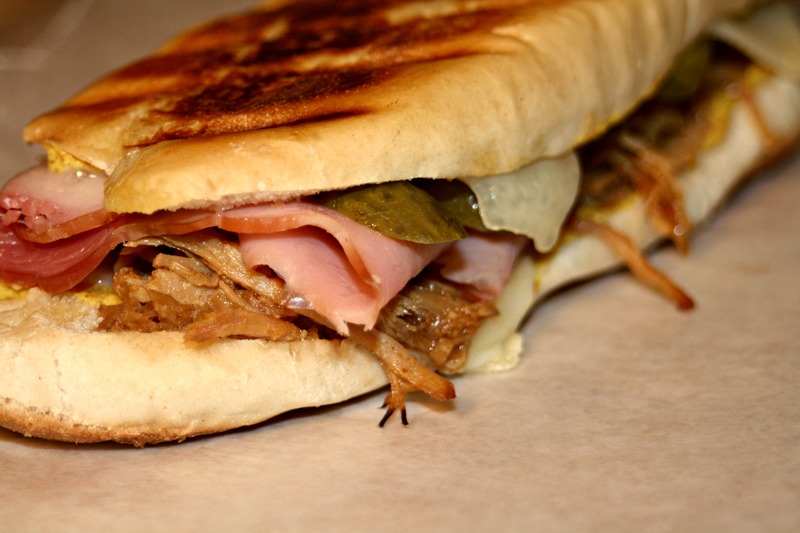 I had never had a Cuban Sandwich but when it was described in the movie, I immediately wanted one. And I am so sorry it took me so long to have one. The pork I used is the Slow Cooker Pulled Pork I posted previously. It’s my favorite pork recipe now. Preheat a George Foreman grill or a panini press. Spread softened butter on both outsides of bread. Add mustard to both insides of bread. 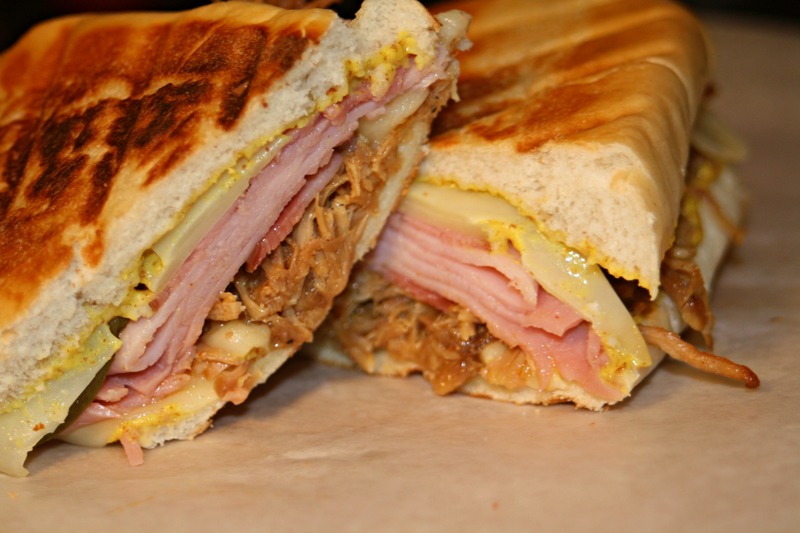 Place ham, pork, and cheese on the bread. Add pickle slices. Replace top of bread to form a sandwich. Heat on grill or press until cheese starts to melt.